ELTON, J. Frederic. Travels and Researches among The Lakes and Mountains of Eastern and Central Africa. From the Journals of the Late J. Frederick Elton, F.R.G.S., H.B.M. Consul at Mozambique. Edited and Completed by H. B. Cotterill. With maps and illustrations. London: John Murray, 1879 Half calf with leather labels and raised bands to spine, marbled boards, 8vo. xxii,417pp. frontispiece and 44 plates and illustrations in the text, 3 folding maps, appendix, 32 page publisher’s catalogue at end. James Frederic Elton (1840 – 1877) was an African explorer and anti-slavery campaigner. His main concern was the eradication of the slave trade in Eastern Africa where he travelled extensively, and having completed a circuit of Lake Nyassa died of malaria attempting to reach the coast. 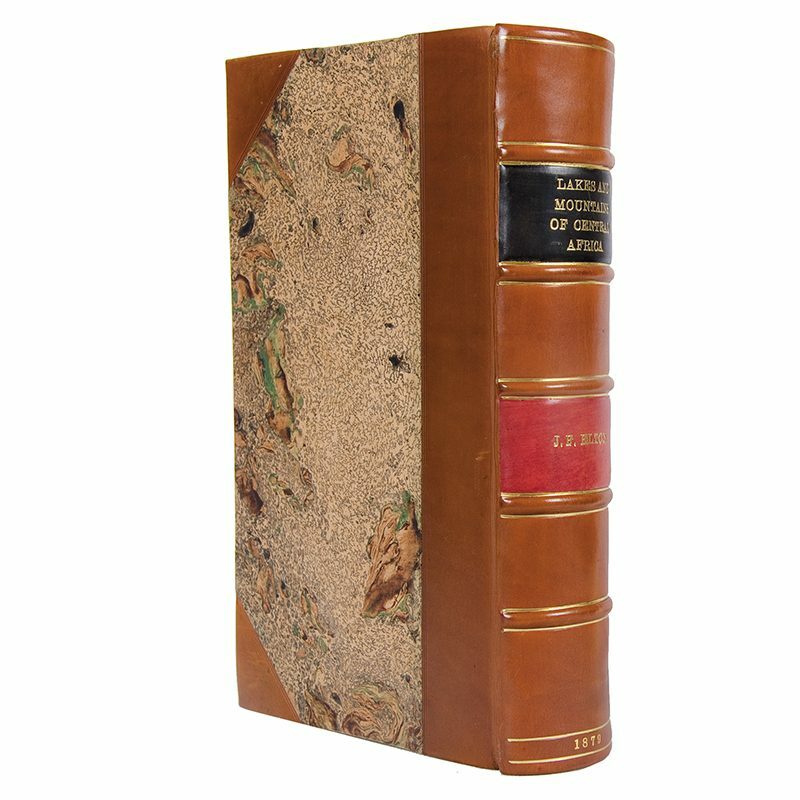 An excellent copy in a recent contemporary-style half calf binding.